As parents, we all try to make our homes as safe as we can for our children. We install stair gates, door restrictors and socket covers to keep them safe. But there are some less obvious dangers that we also need to consider. 3 children died in the UK 2010 as a result of becoming entangled in looped blind cords, and many others suffered serious injury. The majority of accidents of this type happen in the child’s bedroom and sadly are most common in children ages 16-36 months, that age where children become more mobile, more inquisitive. Toddlers are likely to be enthralled by dangling cords whilst trying to explore and climb, but if they do become entangled in hanging cords they are also prone to be unable to free themselves. As they have smaller, softer windpipes than older children and adults suffocation can be horrifyingly fast and quiet. The Royal Society for the Prevention of Accidents has been working hard to raise awareness of this issue, and new standards are being drafted for the blind manufacturing industry to ensure that safety devices are supplied with every new blind. In addition, new cord free solutions are being rapidly introduced to the market. But what about the millions of homes which have existing blinds and curtains with looped cords? If you have blinds in your home you can consider shortening any cords out of the reach of inquisitive little hands (get advice if you are not sure how to do it – as venetian blinds in particular will be come inoperable if you get it wrong!) , or fit cord loop restrictors or cleats, which are available cheaply and easily from blind suppliers/DIY stores to keep them well out of reach. 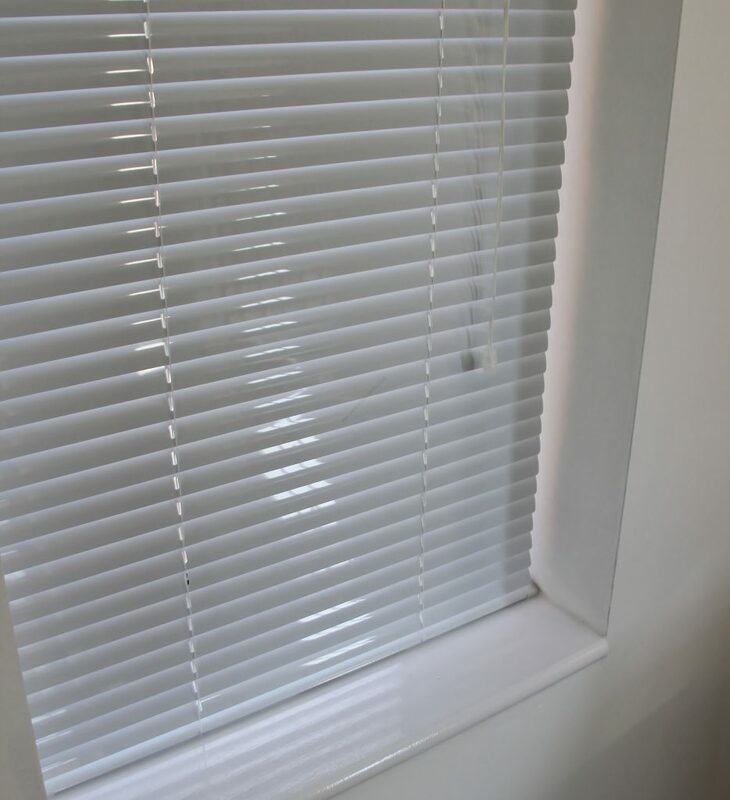 Blackout blinds are always a popular option for new parents decorating a nursery, so when buying new blinds off the shelf ensure that suitable childsafe restrictors are included or if buying from a made to measure supplier, they should supply and install appropriate childsafe restraints for you. Options like vertical blinds can be supplied with wand operation instead of cords, and sewn in weights, to eliminate the need for bottom connector chains. You can choose a window dressing that does not involve any cords. There are lots of blind systems on the market now that don’t have any cords at all. Rollers with a “spring lift” mechanism need no chain and “Intu” and “Perfect Fit” cordless blinds clip to the window frame, or Luxaflex pleated blinds are available on a cordless “literise” system. Many blinds are also available motorised. Rollers in particular are relatively inexpensive to have on remote controlled operation. For the ultimate stylish nursery plantation shutters are an elegant solution to cord-free window dressings. Remember that cots and beds should be kept well away from windows and that it’s not only the cords in a child’s bedroom that pose a risk. It’s all the blinds in the house – and what about the other places that your child spends time? Grandma’s; the child minders? Don’t forget if you have cord drawn curtain tracks, then the cord on that will need restricting too! An independent family business supplying and installing made to measure blinds, curtains and plantation shutters covering the Sussex area.